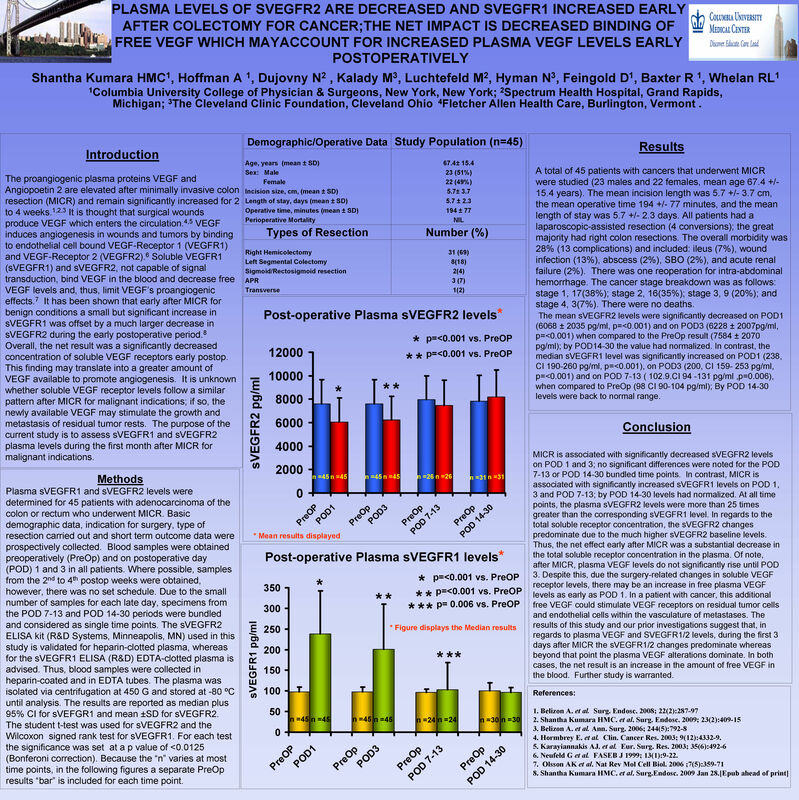 Purpose : Plasma VEGF levels are elevated after minimally invasive colon resection (MICR) and may pose a danger for colon cancer (CRC) patients. It is thought that surgical wounds produce VEGF which enters the circulation. VEGF induces angiogenesis in wounds and tumors by binding to endothelial cell bound VEGF-Receptor 1 (VEGFR1) and VEGF-Receptor 2 (VEGFR2). Soluble VEGFR1 (sVEGFR1) and sVEGFR2, not capable of signal transduction, bind VEGF in the blood and decrease free VEGF levels and limit VEGF’s proangiogenic effects. This study’s purpose was to assess plasma levels of sVEGFR1 and 2 in CRC patients after MICR.